The history of Milner Library is on display. The exhibit “Serving Students: The Legacy of Milner’s Library” is available for viewing on the second floor of the library through February 19. Illinois State University has known five libraries in its 160-year history. From its humble origins in a 160-square foot space carved out from an entryway, to its current six-floor site, each library has offered improvements over its predecessor. Each location sought to anticipate and accommodate the changing needs of its students through improved services, collections, facilities, and technology. 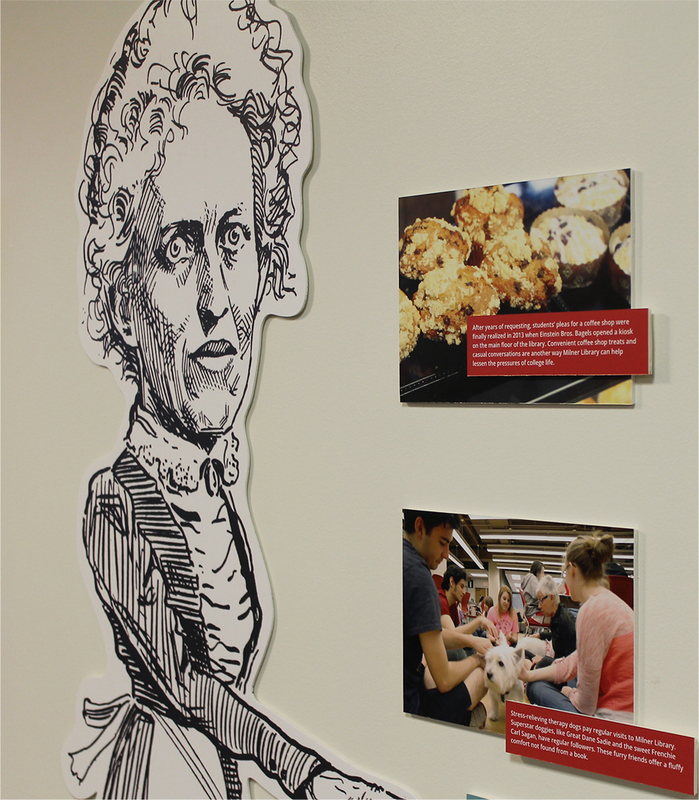 Oversized cutout of Ange V. Milner, the long-time Illinois State University librarian. The University owes its student-centered philosophy to Illinois State’s first full-time librarian, Ange Milner. Over the course of Milner’s nearly 40-year career she created a library integrated into the curriculum and research needs of the University. The ideals she held and practices she introduced have served as a model to successive generations of librarians. 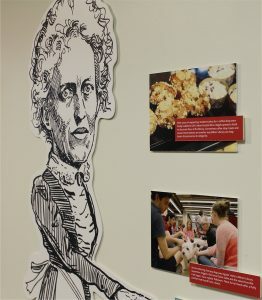 This exhibit offers a glimpse into Milner’s forward-thinking initiatives that laid the foundation for today’s library named in her honor. All Milner Library exhibits are free and open to the public. 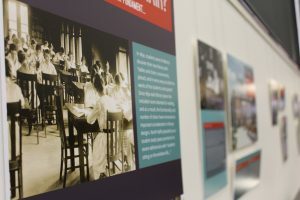 Discover more events and exhibits at Milner.